First of all, do not be fooled by the word "cheap". 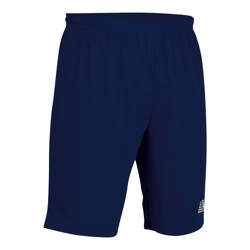 These are not cheap football shorts, rather they are shorts that have been manufactured to industry leading quality standards and then sold at incredibly competitive prices, hence the word "cheap". For 39 years, we have been designing & sourcing our own products direct from the factories & then selling direct to all our customers without any agents or middlemen. We then pass this cost saving onto you, the customer, meaning that the price you pay is typically 40% less than comparable shop brochure prices advertised by other retailers. This is the reason why we are able to offer cheap football shorts which are of a comparable quality to the large global brands. What's more, and here is the really good news; any extra savings advertised are in addition to the typical saving made by choosing Pendle. If you are looking for the best quality cheap football shorts, then you have come to the right place. 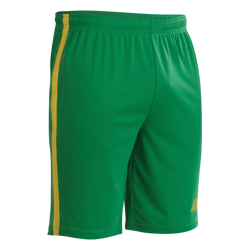 Take a look below and choose from a number of quality yet cheap football shorts.